Thank you for contacting us. Would such a scenario work for you? have the date picker set to current as it has been set in the form. You can also set the element to read only so that it cannot be changed and will input the current date and time in the field. You can do this by Setting the Read-Only in the field properties to YES. Based on your explanation this will ensure the date is captured but cannot be edited bay anyone. Kindly let us know if the above will work. Eu quero que o campo de data altere toda vez que alguem clicar em Edit Link, isso é possível? se sim como faço? 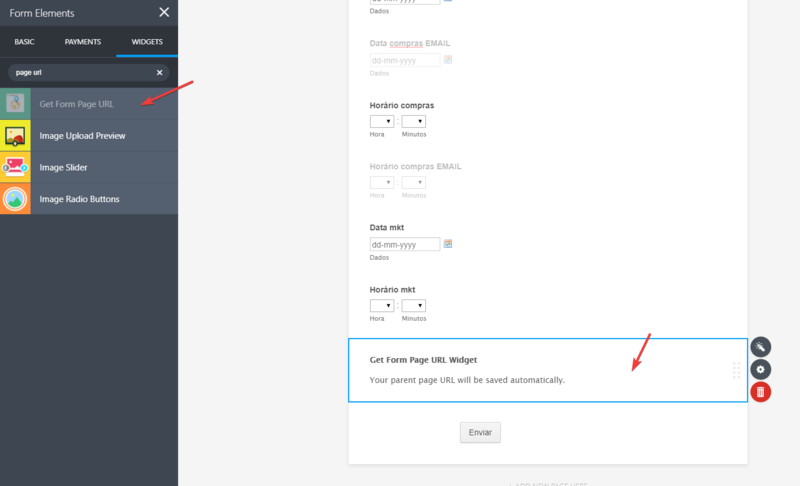 First add "Get form page URL" widget. 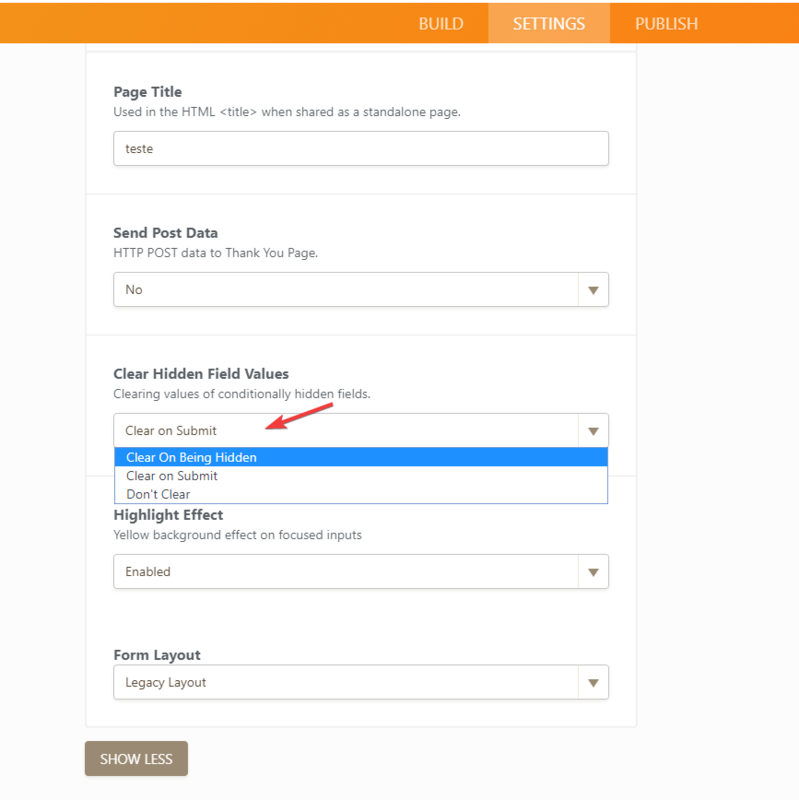 On your form settings change the "Clear Hidden Field Values" to "Clear on Being Hidden". Then add another "Date Picker" field, set it as "Hidden" and set the Default Date as "CURRENT"
Unfortunately you can not "Clear Hidden Field Values" of a single field. However you can use conditional logic to clear this specific fields. 1. Click on Conditions menu in the form settings. 2. Choose Update a form field value. 3. Then on the conditions add a blank field. 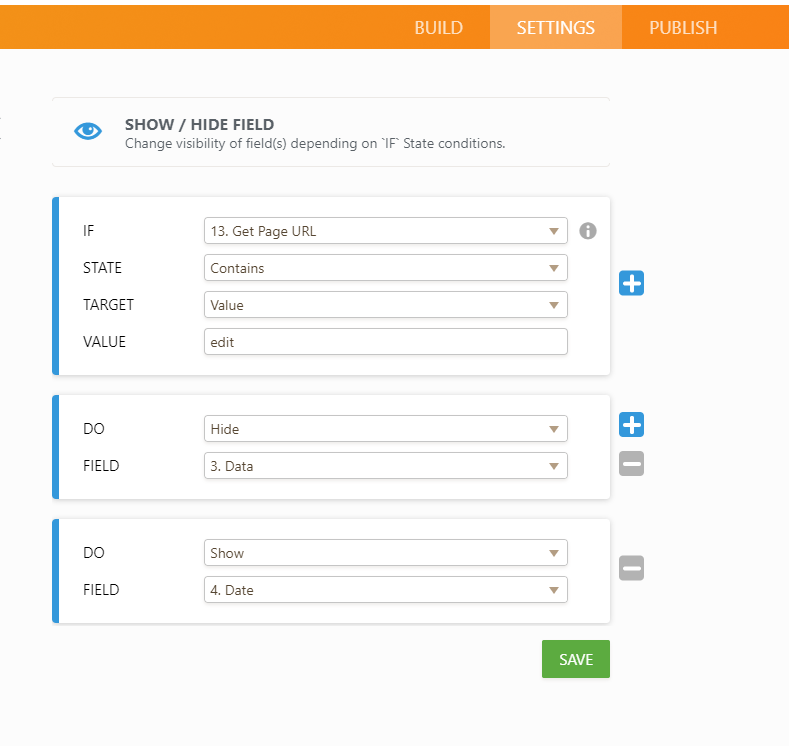 Below is a clone of the form you can use as a sample. Kindly feel free to clone the form.